The sudden end to the tenure of Japan trade ministry chief Yuko Obuchi (right) throws a monkey wrench into the intricate machinery of organizing a political consensus in Japan to restart the nation’s 48 remaining nuclear reactors. The Bloomberg wire service reports that Obuchi, who was in charge of the Japanese cabinet’s efforts to get nuclear power back on track in the nation, will step down today due to a campaign finance scandal. According to Bloomberg, Japanese PM Shinzo Abe will accept her resignation. It is unlikely the opposition parties will be able to make much of this as Obuchi served only a few months before leaving office. Obuchi’s efforts to restart Japan’s nuclear reactors included a set of carrot and stick policies for the country’s nuclear electric utilities. She told them that reactors that were over 40 years old, or nearing that age, were better off being closed permanently rather than paying for costly safety upgrades. She offered tax incentives to firms that met this objective. Seven of the 48 reactors in the fleet, mostly smaller units, fit this profile. Obuchi pressed the utilities not to delay in making up their minds,. Seven at one blow; Japan whacks the 40 plus club. Obuchi traveled the country meeting with local officials who’s approvals of reactor restarts are needed to provide political air cover even after the nation’s newly independent nuclear safety agency agrees the units can begin operations again. Japanese voters are split on the issue of restarting the reactors following the Fukushima crisis. The country’s economy has taken a major hit with its shift to imported natural gas. Major business groups in Japan have clamored for restart of the reactors to insure reliable electricity supply, and some have talked about taking their operations offshore if they can’t get it at home. Obuchi, age 40, was a key figure in Abe’s cabinet and was talked about in terms of eventually becoming Japan’s first woman prime minister. She is the daughter of former Japan PM Keizo Obuchi. Her political downfall results from illegal use of political campaign funds in which $19000 was used to buy materials from a firm headed by her brother-in-law. 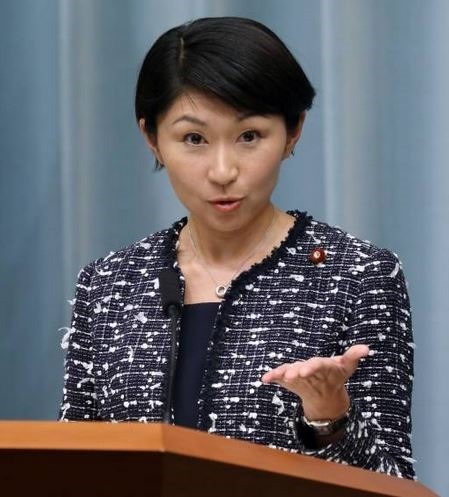 She has two small children at home and has told the Japanese press she is unhappy with the difficulties of balancing a demanding political position with her home life. While restarting reactors at home has become a much bigger headache for PM Shinzo Abe, he can at least take comfort in the fact that exports scored a win in Turkey. A nuclear power station consisting of four 1100 MW reactors to be built by a combined effort of Mitsubishi and Areva is getting ready to break ground at Sinop on Turkey’s Black Sea coast. The $22 billion, 4.6 Gwe MW plant is expected to have the first unit in revenue service by 2023. With site and licensing reviews and other pre-construction work expected to be done in about 18 months, the first concrete may be poured by early 2017. The Turkish government will take a 50% equity stake in the project. While Areva is supplying reactor technology, it is not an investor in the power station. Mitsubishi and France’s GDF, which is also a participant in construction of the project, are investors. The 1100 MW Atmea reactor is a combined effort between Mitsubishi and Areva to offer customers a scaled-down version of Areva’s 1650 EPR. Mitsubishi also has a 1700 MW reactor design. Both firms have found market resistance to units of that size,. The joint venture hopes to offer the 1100 MW unit to other countries including Brazil and Vietnam. However, Vietnam has already signed agreements for two Russian supplied 1000 MW VVER reactors and Japan has an agreement for the next two units. Vietnam has an energy strategy that calls for eight reactors. It recently pushed back the start of construction of the first Russian reactor by more than six years so that it can train a cadre of nuclear engineers to staff a nuclear regulatory and safety agency and to run the reactors. Brazil is completing its third nuclear reactor, Angra 3, with engineering services provided by Areva. WNA reports the work involves a $1.7 billion contract for engineering services and components, digital instrumentation and control system, supervision of installation of major components and commissioning of the unit. Plans for additional units include two separate sites of about 6 Gwe each. Financing the plants will be a key success factor in moving them forward. Westinghouse has also indicated interest in the projects. This entry was posted in Japan, Mitstubishi, Nuclear, Yuko Obuchi. Bookmark the permalink.